World's Biggest Necklace Combo Shipper 96 ct. Wear them as jewelry, eat them as a treat or do both! 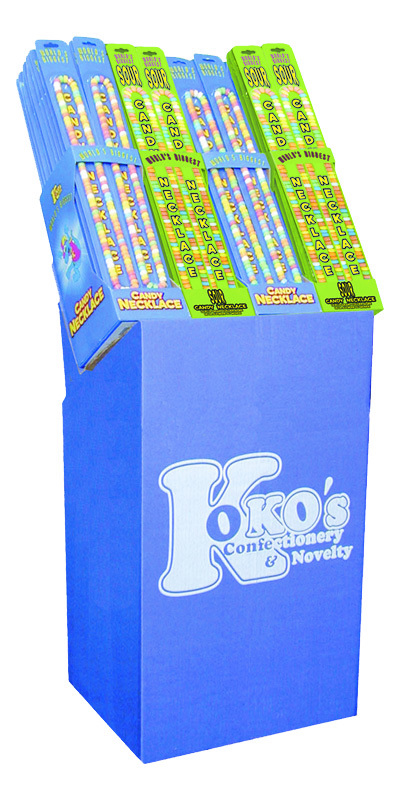 World's Biggest Sour Candy Necklaces are the fun multi-colored sour candies on a necklace string. These necklaces are jumbo size!